As I have written in many of my articles, my darling first born was an extremely high needs baby. He was intense. He needed constant contact, comfort and support to feel at peace with the world. As he has grown, this highly sensitive soul has become a beautiful, caring, articulate (more than I’d like on occasions) and clever toddler who does not miss a beat. He delights in the world and people and has a wicked sense of humour. He is extremely attached to me still but he has now expanded his attachment to more special people in his life, his dad, his Nanas and a few special friends of the family. I have left him on many occasions in the safe hands of these trusted people and my once extreme Velcro baby does not mind one bit. I made the decision to put his name down at a few day care centres in our town at the beginning of the year, knowing that the waiting lists are quite long. I wanted to try and get him in for a couple of days a week to allow me some one on one time with my baby, for him to enjoy himself freely without having the baby to slow him down and for me to enrol and do a little course I have been wanting to do for while. These reasons, while valid, were not reasons I felt locked us in to the daycare path though. As with everything, I like to follow my baby’s lead and without daycare being something that was ‘essential’ I was open to it not necessarily working out the way I had imagined. When I got the call to say he had a place, I was very excited. I started to plan out how I’d like to transition him in my head. With the luxury of time on my side, I decided that I would aim to make the transition as slow as was needed for it to be pain free for my toddler. I know my boy and I knew that central to him being comfortable staying for any amount of time would be him making a connection with at least one carer. I also knew, that my clever little guy would maintain trust with me if I kept on coming back EXACTLY when I told him. Firstly, for a week, we visited the centre each day for half an hour to an hour and just played and said hello to the adults and sussed the place out. I made sure I chatted happily with the carers in his earshot so he could hear how friendly and relaxed I was with them to help him begin to build his own rapport. The next week, we did a few more play visits and then on his actual day, I explained to him in the car that I had a doctor’s appointment for my back (I’d been going frequently at the time, so he knew the drill- I go see the doctor but I come back) and that Miss S (carer) had asked if he’d like to stay and play and have morning tea with her and the kids while I had my appointment. He was okay until it was time for me to leave and then he got a bit emotional. I told his carer before I’d said goodbye that if he didn’t settle quickly, then to call me so I could come and pick him up. He settled as soon as I left though (I could see through a window) and he was happy as Larry until I came back just after morning tea. So far so good. The next day, we had a bit of a set back. I did the same thing again but told him I’d be there a bit later after the baby’s sleep and gave the carers the same signal to call should he not settle or if he’d had enough. Unfortunately, they didn’t call and he was VERY upset for an hour before I picked him up. I was furious. I didn’t let it show in front of my babe though as I didn’t want him to get the wrong idea. I vented at home to my husband and my mum. I felt very let down. I had made it VERY clear that I wanted to be called if he was upset. I started to have a few of my own trust issues start coming up … If I couldn’t trust them to call me over something I’d been so explicit on, what else wouldn’t they call me for?!? Yes, it was a bit over the top. Yes, just a wee bit emotional. Thankfully, I kept myself in check and decided to give it another shot the following week. Because of the not so nice, end to the previous week, I decided to step it back one step and took him for a play where I stayed the day before his regular day to ensure he had a nice experience again to recall before I tried leaving again. This worked well and I was extra clear to the carers again about my expectation to call if needed. That day, he only lasted an hour before they called. It happened that they had several new kids commencing that day and quite a few were in tears and the carers were doing their very best to comfort these sad little ones but they simply didn’t have the arms. When I arrived to collect mine, my guy’s favourite carer had a crying child on each knee and my guy leaning on her with her arm around him. The poor thing looked so stressed. I asked if she was okay, and she said she just wanted to cry, too. Poor thing. We had a bonding moment right then and there. I could see her genuine concern for those babies in her care and I could see how grateful she was that I could understand how hard the feat was she was trying to manage. She also restored my trust by calling just as I had asked. We tried again the next day and he lasted until morning tea without fuss but I was 5 minutes late and he was just starting to get upset when I arrived. Overall, a successful step in the right direction. The following week, we didn’t do any plays, just went on his days. In the morning on the way, I told him that Miss S had asked if he’d like to stay and have lunch with her. My guy is a total foodie and working around the meals has helped him a lot. I was very keen for this step because they set the little beds up for nap time while they eat so he would get to see the sleeping arrangements. He loved lunch but was very ready to come home when I arrived. We repeated the same the next day. He was happy and relaxed when I arrived the next day. I must admit I was getting a bit over the slow process at this point. Not because it wasn’t working but because it felt at that stage like we may never get to the full day and on quite a few occasions that I’d had to pick him up, I’d had to wake the baby. I was starting to question if daycare was the right fit for us but decided to give it another couple of weeks to see if we could stretch it to the full day. We attempted nap time the next week but he got quite upset when they tried to get him to lay on the bed so they called me and I headed straight there to grab him. By the time I got there, Miss S had taken him for a quiet walk to see all the sleeping children and read him a story and he was looking very relaxed sitting on the bed. It probably would have worked but I decided to grab him anyway as taking baby steps that kept him happy had worked thus far. It was a Public Holiday the next day so we didn’t get another attempt that week. Then this week, I let him know that Miss S was really wanting a sleepy snuggle with him and would love if he could have his nap there because they have a yummy afternoon tea she’d like to share when he woke up. He was a bit funny and kept telling me that he wanted ‘mummy sleepy snuggles’ but then when we got there he raced off and I had to follow him to give him a kiss and say good bye. Miss S called shortly after midday to say he’d gone down beautifully! She called again the next day to say he went to sleep no worries. I arrived to pick him up to find his beautiful face covered in fun from his day. His face burst into a massive smile when he saw me and I got the best cuddle before he launched into his tales of what he’d eaten and gotten up to. My happy, secure, sensitive boy is finding his feet. This baby who howled the second he was placed down and nursed incessantly around the clock for the first part of his life has grown to be an independent toddler who takes on new experiences with gusto. Our gentle transition has seen him grow comfortable and confident in a new environment. His weary, cheerful little face fills me with so much pride. Trust, security and comfort. Three key ingredients in his life. I am so grateful to his carers for being able to help me to continue to grow and maintain this in his life. I have had one hell of a 24 hours with my babies. No great tragedies or events that need to be detailed. Just more the kind of time where every little thing that can go wrong does. Every turn you take there’s a hurdle. Every time you stop to breathe, someone cries. My 6 month old is particularly intense right now. I could hazard a guess at a few developmental reasons why if I could have been bothered but in truth, I was too tired today to work it out. I hit survival mode at about 7am this morning. Once I’m on survival, it’s really never going to be my best day. Not because I’m being careless but more because quite often, I only feel like I can offer my physical self to my children. The mental and emotional part turns inward. I go into pity party mode with lots of, ‘I swear they hate me sometimes.’ And ‘of course you had to wake up, can’t let mummy have two seconds to herself.’ I lose my empathy switch. I race through the day, just waiting to get that precious time for me. Just me. I am not present. I am not in tune. I am out of sync. I can recognise this happening but quite often, I can’t turn it off. Not until I get the chance to reboot. Had the stars magically aligned and my babe’s sleeps had overlapped, I may have reset. They didn’t. It was a long, relentless let’s just freaking do this kind of day. My toddler was unusually quiet and my baby whinged, whined and moped all day. They wanted and needed their mum. Physical mum just wasn’t enough. But then came bedtime for baby. Nope, fake out. But then came second attempt at bedtime for baby. Nope, fake out. He is never hard to put to bed. Ever. But then I put him down for one last play to wear him out and for the first time today I really watched him. There he was in all his grizzly glory on all fours desperately trying to crawl to me. The frustration was raw on his face. He knows exactly what he wants to do but his little body is still figuring out how to do it. Eventually he crumpled to the floor and burst into tears. My empathy switch lit back up. My poor tired, frustrated, hard working, learning baby boy was shattered. I carried him back to his room and we danced our slow dance in the dark until I could feel his calm. I then put him to my breast and remained present as he started to nurse. His beautiful face. Those lashes. The little hand clutching my finger. The other hand stroking my back. The sound of his breathing. The sound of his suckling. The sound of the quiet little sighs as he slowly surrenders to sleep. I feel his weight deaden. He has found his peaceful rest. After a day of mayhem. A day of tears. A day of frustration. A day of confusion. He returned to his safe haven and his safe haven returned to he. I was lost at times today and so was my sweet babe. But this is home. This is where we need to be. In sweet synchrony. Him and me. Are you currently feeding your baby to sleep? Rocking, singing or cuddling your baby to sleep? Wearing your baby as they sleep in a carrier or letting them sleep on your chest on the couch? Has your baby grown accustomed to dropping off as they ride in the car or pushed in the pram? Does your baby need the touch of their mum’s skin, hum of her voice or feeling of her hand on their chest to feel relaxed enough to sleep? 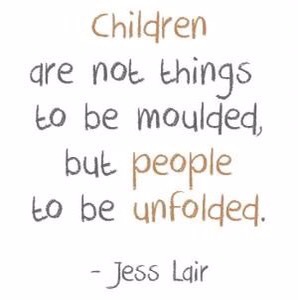 Maybe you are holding a very tired baby tightly as they cry and struggle to relax but with your calm reassurance, they will eventually drift off? Will your baby only sleep in your bed? If this sounds familiar, I am here to say you make my heart swell beautiful mama. 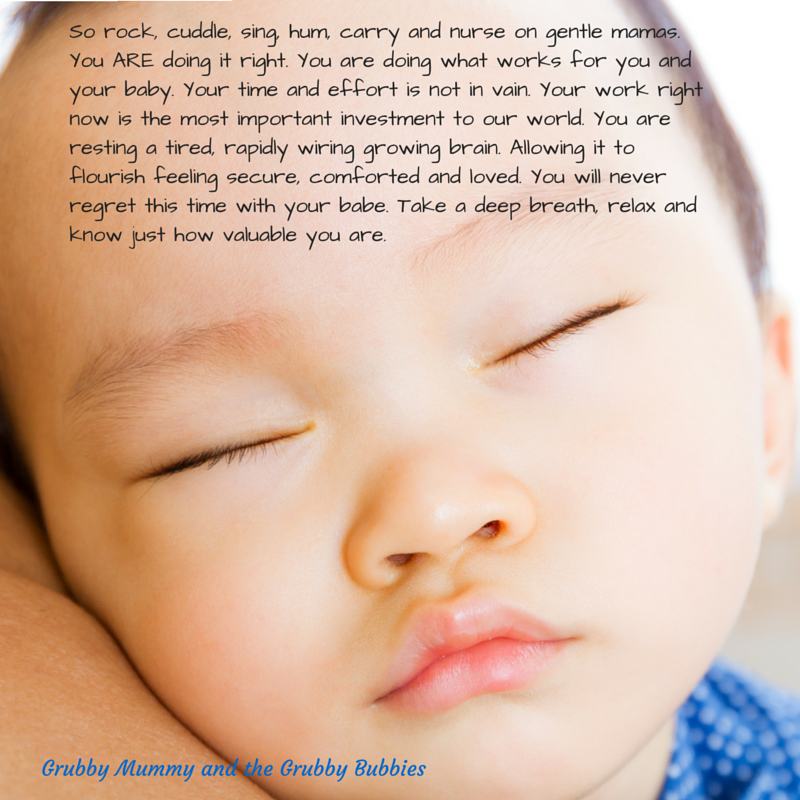 Your baby associates sleep with feelings of being supported, responded to and comforted. You are not doing you or your baby a disservice to have them come to expect that they can trust and rely on you to get them the rest they need in the way that works best for them. Not all babies rest easily. Many need a lot of support to go off to sleep peacefully. There is nothing ‘wrong’ with your baby if they can only settle with help from you. Some babies can and do go to sleep peacefully on their own without help from their caregiver. These babies are the exception, not the norm. You are also not creating a rod for your own back by responding to your baby this way. Time with our babes is in fact fleeting and they grow, change and evolve constantly and what they need today will not necessarily be what they need tomorrow. I learnt all of this the hard way as I battled away trying to ‘undo’ sleep associations with my first. Simply accepting that for this season he needed me intensely saved both of us so much heartache. You may be thinking that it is all too much and you may be very unhappy with your situation. If this is you, first thing I’d do is a little soul searching. Get to the root of the unhappiness before changing anything. 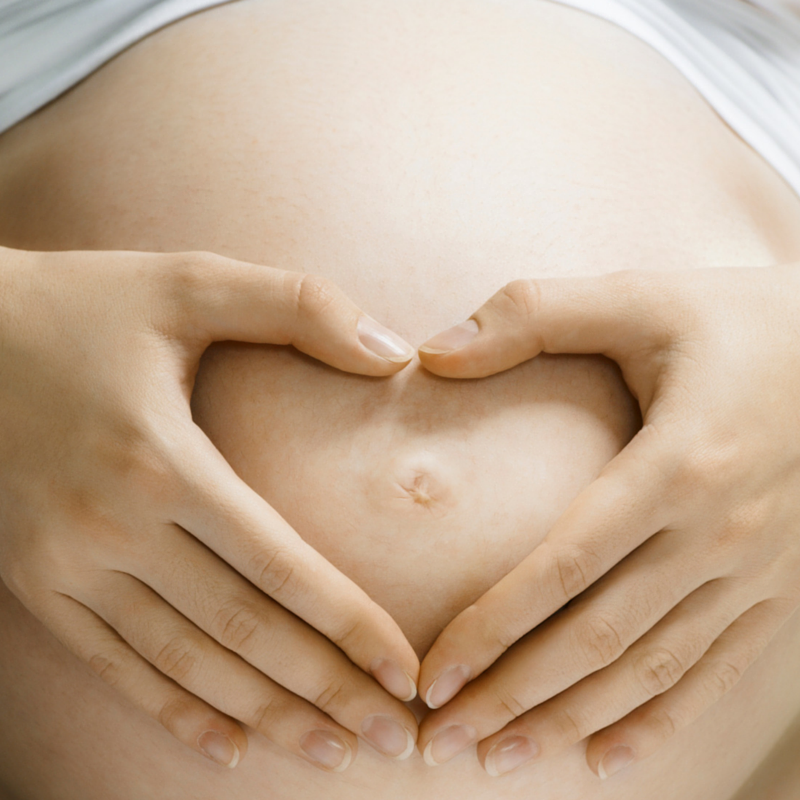 Are you unhappy because you are hearing or reading you and your baby should not be on this path? Are you genuinely over it or are you having a crappy day or week? Is Bub, particularly intense right now as they go through a big growth spurt, leap, sickness or separation anxiety? Are you stressing that you will NEVER be able to leave your Bub and know you need to get back to work or have a wedding to attend or simply want a day, evening or night off? It’s important to get to the crux of it all because so many of our fears and frustrations can be momentary or way too far down the track to warrant our genuine concern now. Often times, we are so into our own heads about what we and our baby ‘should’ be doing that we forget that we can also listen to our baby and our heart. If, after all this thinking and listening, you still feel you need to do something to change the way your baby goes to sleep, I’d highly recommend looking into gentle resources such as books like Sleeping like a Baby by Pinky McKay, The Discontented Little Baby Book by Dr Pamela Douglas or The No Cry Sleep Solution by Elizabeth Pantley. These books will help you make changes gently and with love. One very important thing to keep in mind though is, like me, you may try it all and your baby may simply not respond. They still aren’t broken. They are simply telling you that they aren’t ready for this yet. Trust that your baby knows what they need. 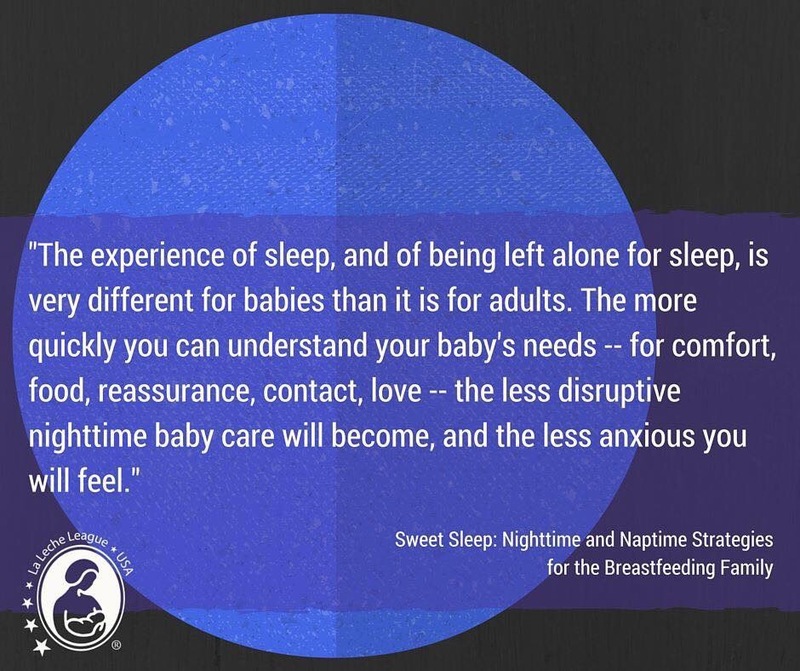 Trust that they know when they are ready to become a little more independent with their sleep. It will happen gradually. Even the baby with the tightest grip on their mama right now can blossom to a beautifully independent sleeper in time. No fear, no tears, no training required. So rock, cuddle, sing, hum, carry and nurse on gentle mamas. You ARE doing it right. You are doing what works for you and your baby. Your time and effort is not in vain. Your work right now is the most important investment to our world. You are resting a tired, rapidly wiring, growing brain. Allowing it to flourish feeling secure, comforted and loved. You will never regret this time with your babe. Take a deep breath, relax and know just how valuable you are.